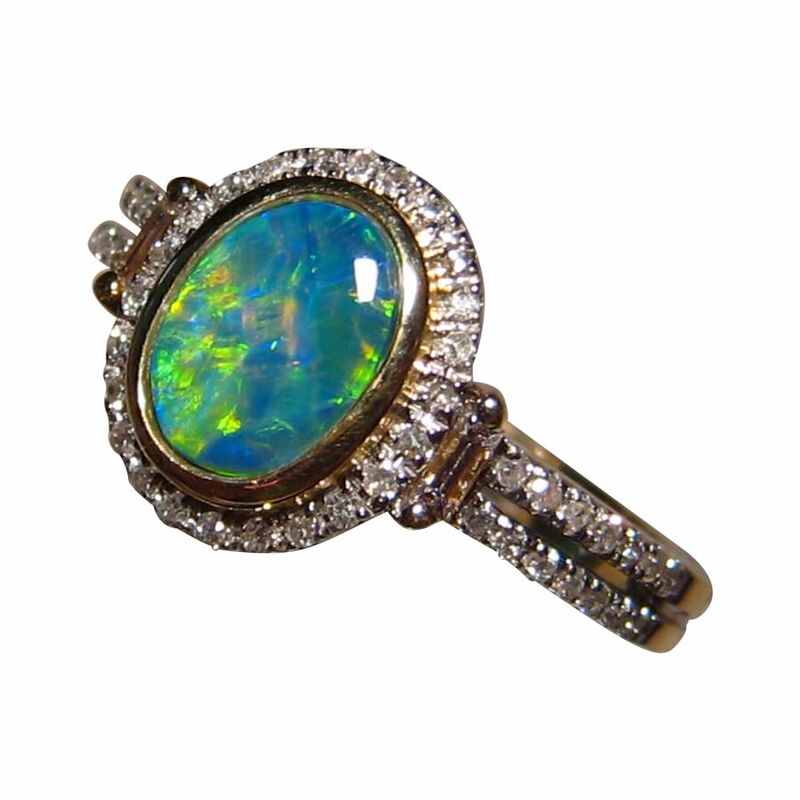 Womens Opal and Diamond ring in 14k Gold with round and baguette Diamonds. In stock and ready to ship. 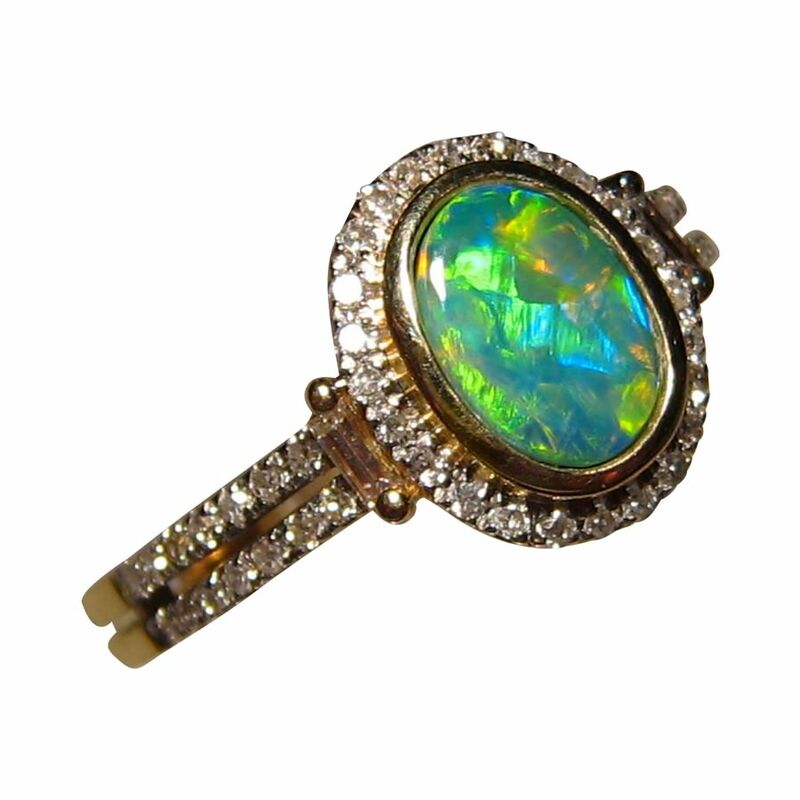 A beautiful Opal Ring with Diamonds in 14k Gold with a Lightning Ridge Opal that is cut to an oval weighing just over .75 carat and flashes a vibrant mix of Green and Gold with some Blue. 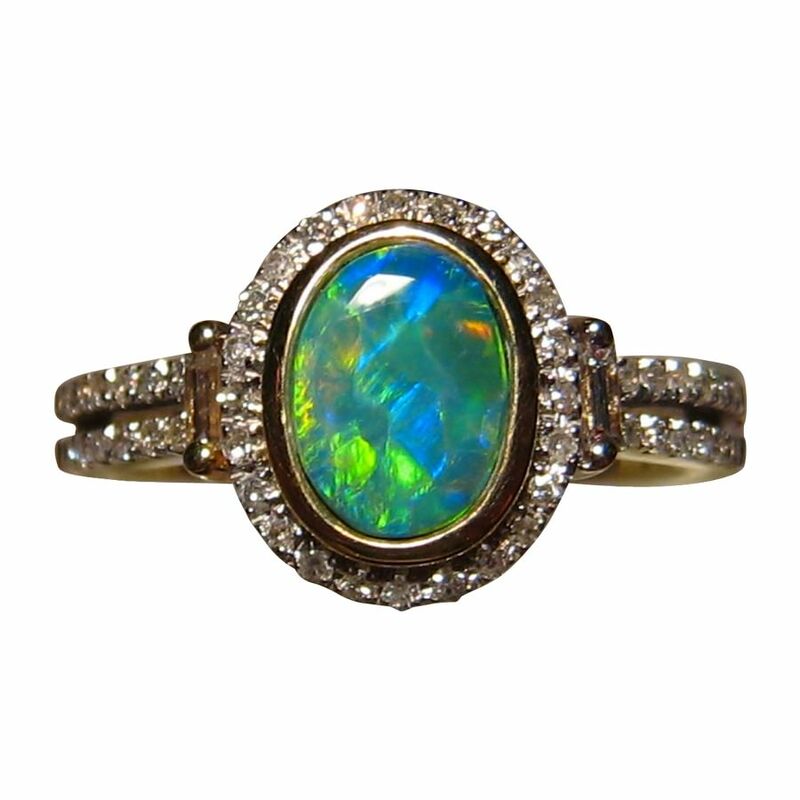 Around the Opal is small round Diamonds which continue to about half way down the double band while a single baguette Diamond accent is on the top of each side of the band. 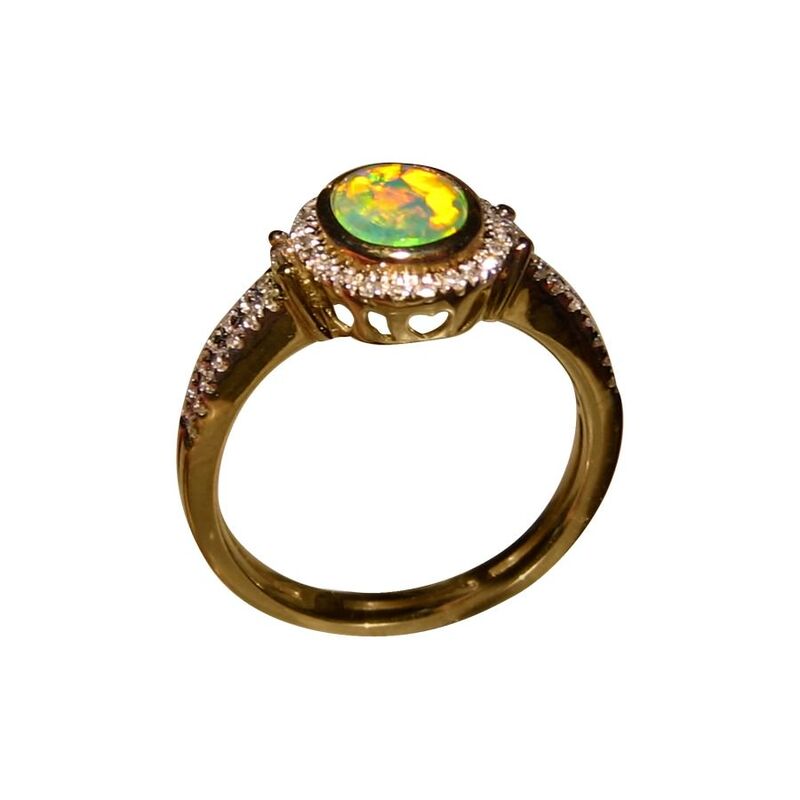 Watch the video below to see the play of color in the Opal, the way the Diamonds sparkle and the high shine of Gold. The Opal is inlaid in the ring so if you are considering this for everyday wear or as an engagement ring, read How to Care for Opal Rings before purchasing. 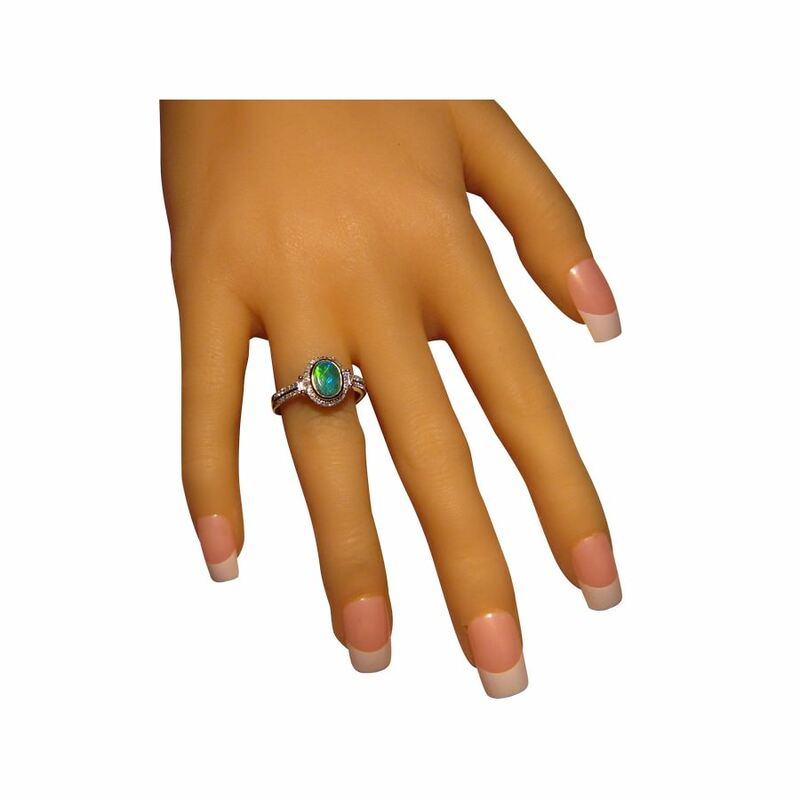 The ring is ready to ship as stated below or will take 14-21 days for any other ring size or Gold color before this exact Opal is set.